Guys, I have a perfect recipe for upcoming fasting season Navratri. 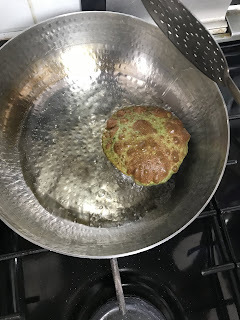 This Farali Palak Poori is tried and tested in my own kitchen before bringing to you, so you have something different than your regular choices for the fasting season. 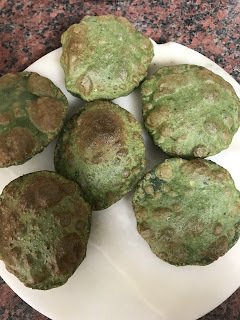 The idea of this recipe popped in my head while I was browsing my blog and landed on PALAK POORI post and a thought crossed my mind, why not Farali Palak Poori? Just because of that odd thought was dancing in my head, did a quick research on google to find out if spinach can be consumed during fasting, delighted with the results and I ended up making Farali Palak Poori. WHAT IS POORI OR PURI? Fluffy and golden poori or puri is a deep fried small round Indian flatbread prepared with wholewheat flour. Generally, pooris served with a meal but can be eaten at breakfast time with Chickpea and Potato curry and Halwa. Also, you can find Masala, Aloo or Palak Poori too which is prepared with whole wheat flour, spinach and basic spices. Pooris not only served with savoury dishes but can be enjoyed with Kheer, Shrikhand or Keri No Ras on special occasions for a lip-smacking meal. 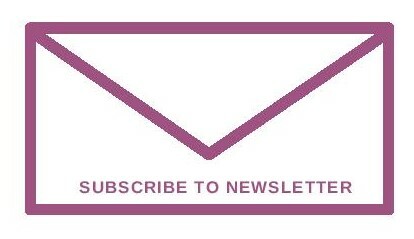 While fasting, one can not consume regular grains such as wheat or rice, instead, some cereals or its flours are allowed such as amaranth, buckwheat and barnyard millet. 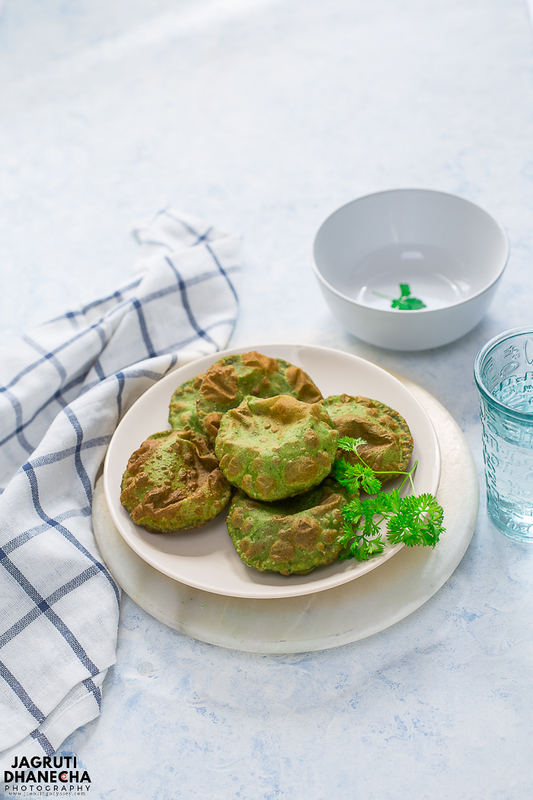 This delicious and quick farali palak poori is prepared with mixed farali flours, potato and spinach puree. To make it more flavourful green chillies, ginger, black pepper and cumin are added too. I would serve these tasty piping hot pooris straightaway. 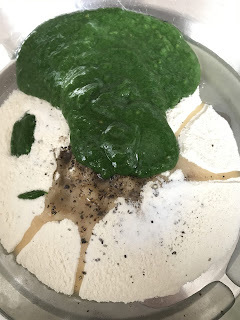 They can be served at breakfast with chai (tea) or plain or sweetened yogurt, Sometimes I serve over the lunch or at the dinner time with farali aloo sabji and yogurt to make a satisfying meal. When you knead the dough, don't add any extra water. Water in spinach puree is sufficient enough. Knead the dough very stiff and start making poori immediately. If you leave the dough for some time, the moisture of the spinach puree will make the dough softer. When you roll pooris, dust very tiny amount of dry flour on a worktop to avoid sticking it on the worktop and not to roll puris very thin. Fry on medium heat, so pooris won't go totally dark in colour. Do not overcrowd the kadai while frying these poories. The first step is in this recipe is to boil potatoes first, cool and peel. The second step is to cook the spinach in M/W for a couple of minutes with not more than 2-3 tbsp water. Place boiled potatoes, spinach, ginger and green chillies in a grinder and make smooth puree without adding any additional water. 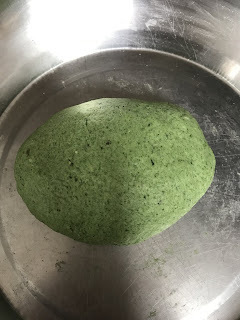 In a big wide plate (parat) place flour, salt and spinach puree mixture and add some oil or ghee. Knead a stiff dough without adding any water. Divide dough into small lime size equal balls. Lightly dust the surface with dry flour and roll out into not too thin round shape. Carefully pick up bread and slip into kadai, use a slotted spoon to gently to immerse puri. Turn puri on the other side and by now it should puff. The moment it turns a light brown colour, remove it from the kadai. 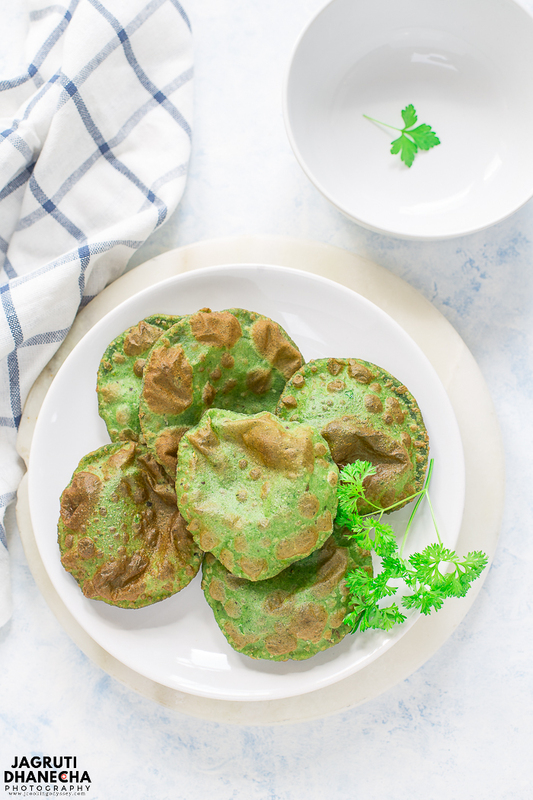 In the spirit of upcoming festival and fasting season Navratri, make this delicious and innovative Farali Palak Poori to get your tastebuds dancing. 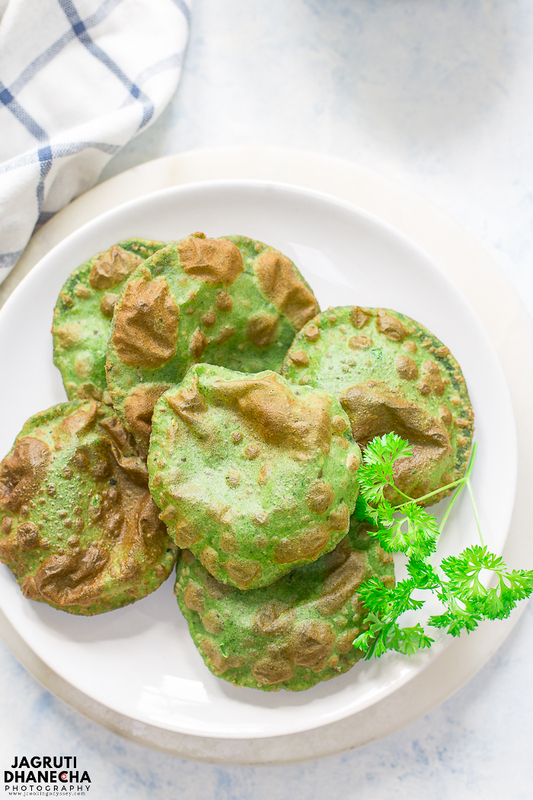 Farali Palak Poori, these utterly delicious deep-fried Indian flatbread is perfect for fasting days such as Navratri, Mahashivratri and Gokulasthmi. 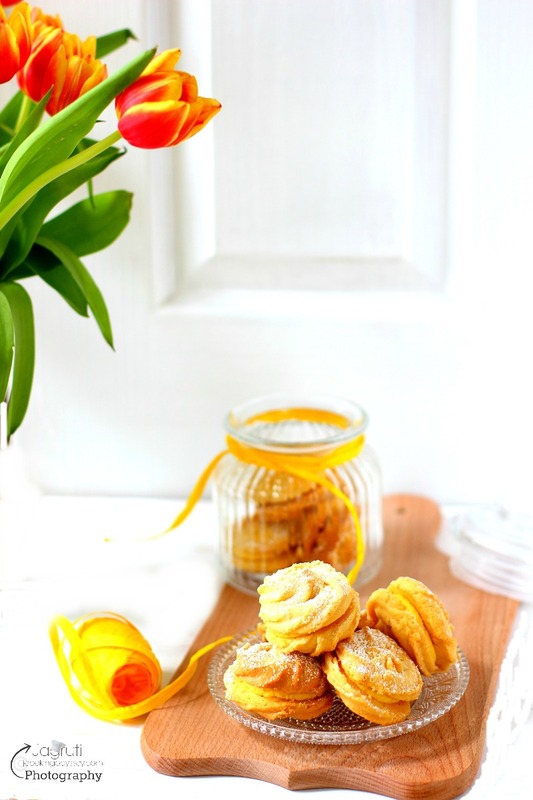 These irresistible puffs are prepared with gluten-free flours, spinach and basic Indian spices. Peel the boiled potato and leave it aside. Place fresh spinach in an M/W proof bowl with a couple of spoon water and cook the spinach for 2-3 minutes on HIGH. Place cooked spinach along with potato, ginger and chillies in a grinder and make a smooth puree. In a big plate place flour, puree, salt, oil, cumin and black pepper powder. Combine everything and knead a stiff dough without using any water. Divide the dough into small and equal portions, make balls. Carefully lift the poori and place it in the hot oil. Fry it on medium heat until puffs up. Pure butter ghee can be added instead of oil. These fluffy pooris looks delicious and a perfect recipe to try on fasting days. Potato, spinach and spices in poori is totally new to me. I feel it's a great way to sneak veggies and make kids eat. I would have it with chickpea curry. I've yet to try making pooris with farali atta, I've only made rotis or parathas. Love the idea of adding spinach to make it more healthier and colorful. These look so perfect Jagruti! Usually with gluten-free flours it is difficult to get puffed pooris. 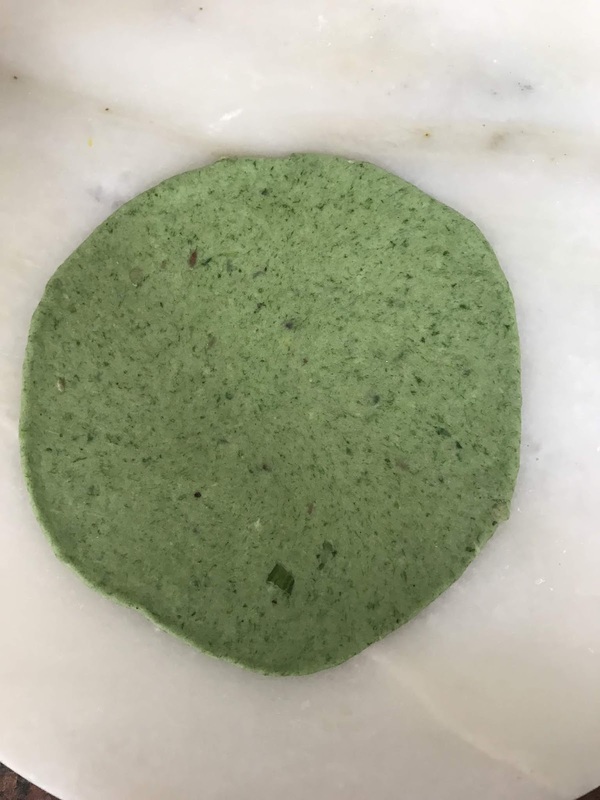 I make bajra pooris and I know it gets a bit tricky at times :-) Thanks for the tips. Adding boiled potato will definitely add starch and help to work easily with the flour.